Shelf "Wandregal C-05" - handmade in Germany by Opossum Design - Vejtsberg. 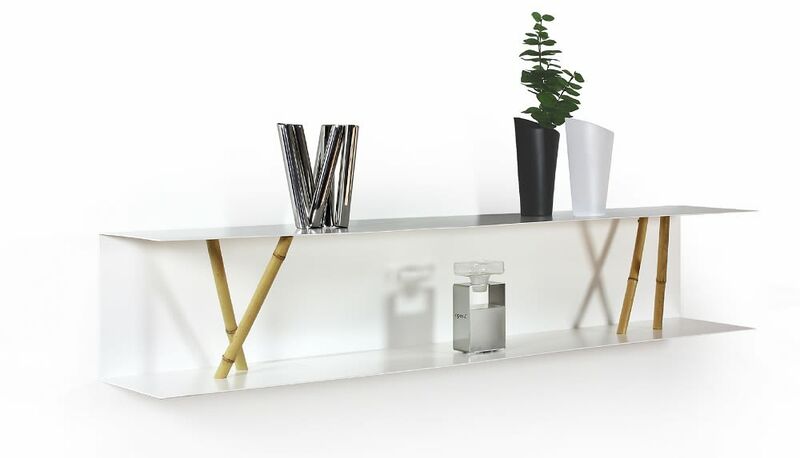 The shelf body is made from very sturdy white powder coated steel. Please note that fixtures/wall anchors and decorative items shown in the images are not included. The build quality and therefore appearance of the shelf is as high as one would expect from a product made in Germany. Unfortunately that is always a bit difficult to convey with images.